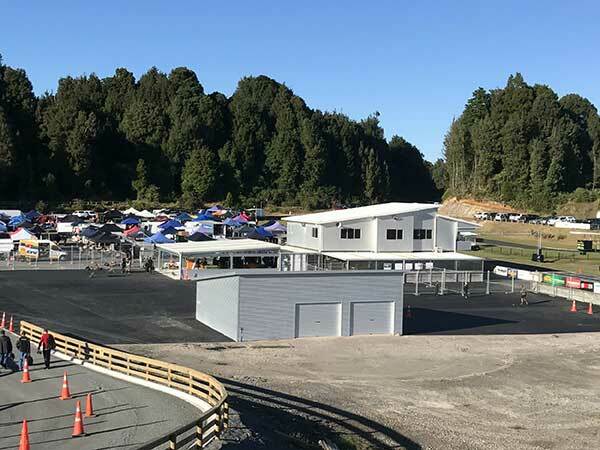 Already one of the premier venues in the country, designed to international CIK-FIA standard, the KartSport Rotorua club’s Century Batteries International Raceway has just received some major upgrades in anticipation of hosting the Giltrap Group backed 2018 KartSport New Zealand National Sprint Championship title event over the Easter weekend. Extensive extra tarmac has been laid to the paddock area at a cost of $120,000 to provide a very user friendly environment off track. 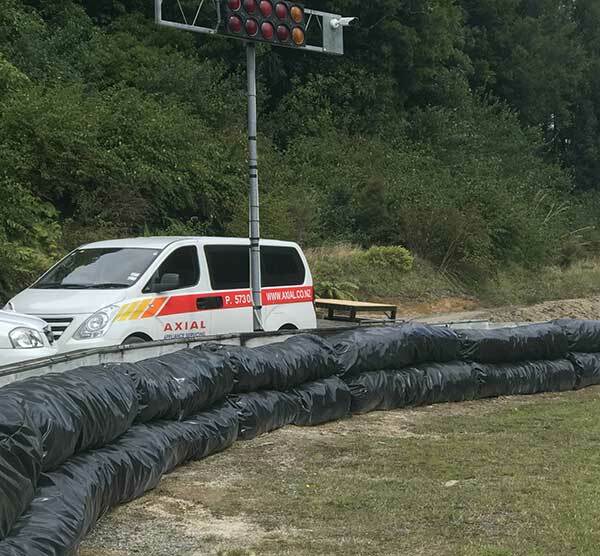 A large lean-to has been added to the Race Control building to provide a covered area for the refreshment/canteen area. It has roll down sides for when the weather is inclement. A large marquee will be added to this structure to provide a large covered area for the onsite post event prizegiving on Easter Sunday afternoon. 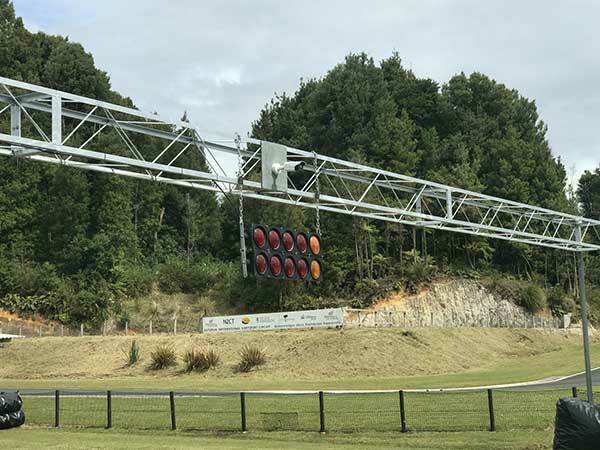 A new Start Lights gantry has been erected over the track upon which are mounted the start lights and one of four CCTV judicial cameras. The club has also run all the permanent cabling required for these four cameras. 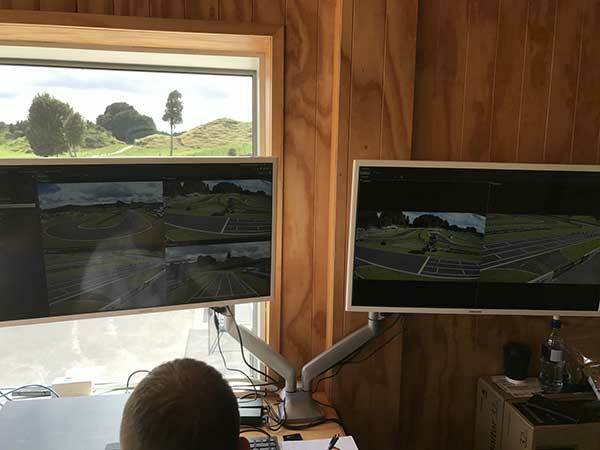 The four camera CCTV system and recording system is part of a $20,000 investment made by KartSport New Zealand to help improve decisions regarding starting infringements. Competitions Manager Warrick Parkes noted; “ After each major event we survey participants on a wide range of matters including their opinion on the decision-making performance of our Officials. The biggest area of concern has been around the decisions made regarding starting penalties which are “Judge of Fact” and not contestable. The cameras and recording system are portable so they can be taken from track to track (providing the infrastructure is in place) for major events. Qualifying for all 7 classes at this year’s National Sprint Championships meeting at Rotorua will be held on Easter Friday afternoon March 30 with heats on Saturday and Pre-Finals, Finals and prizegiving at the track on Sunday April 01. 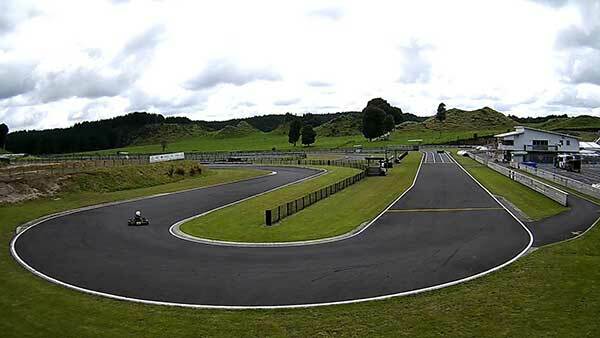 The event will also be livestreamed by i-Film NZ Sport, with support from Carters Tyre Service, on Saturday and Sunday. Link HERE.